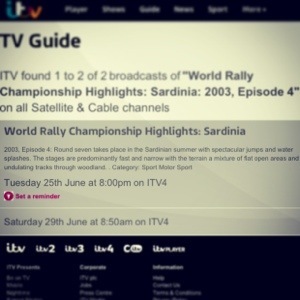 Although the TV guide on the ITV website says 2003 i can ensure u it is 2013 coverage. Rally Italy was based in San Remo back in 03′ so its certainly not highlights from 10 years ago. Talking of 10 years ago, here’s a question for you InsideRally fans; Who who won the 2003 edition of Rally Italy in Sanremo? Answer in comments below or tweet to @danielDarrall. 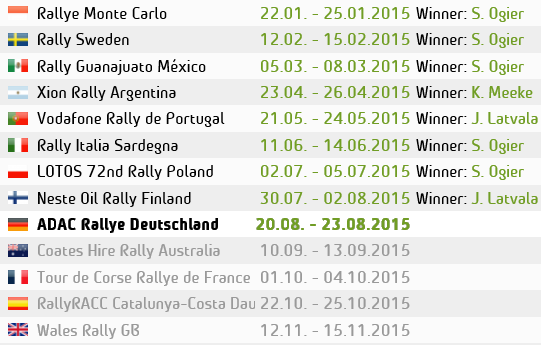 Theres no prize, just a bit of WRC fun. You will also be able to watch it on ITVplayer.